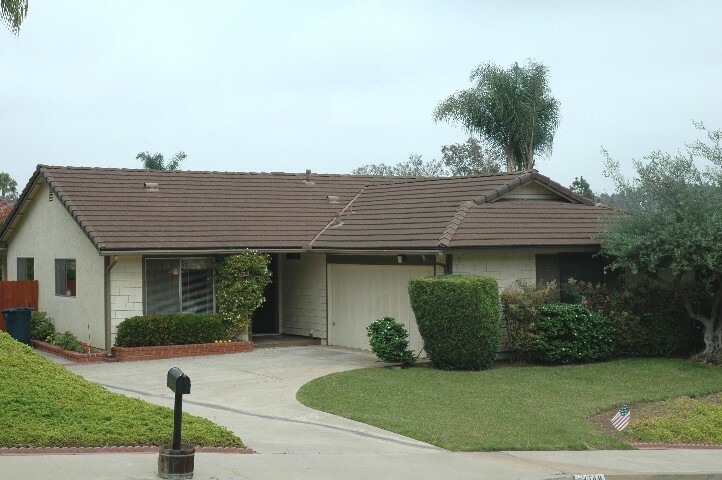 Was on the market for six months... no showings... no offers... we sold it in three weeks... with multiple offers! Perfect first home... or perfect last "Retirement Home"... you just can't beat the location. 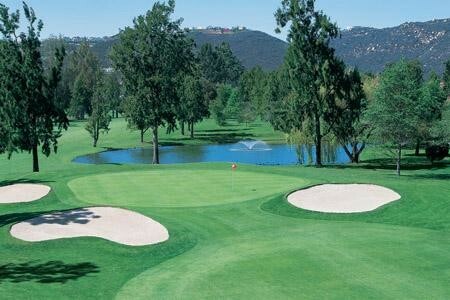 Escondido Country Club is one of the finest of Escondido neighborhoods... with quiet streets... and allowing cart traffic to the wonderful Golf Club... literally just around the corner. Wide open floor plan... oversized garage with storage... private rear yard with lovely covered patio... this is really a treasure waiting for a lucky new owner. The drive to the left of the home has a wide swing gate... to allow secure parking of the Golf Cart... that is a must in this neighborhood. Notice the beautiful ... and safe... tile roof. 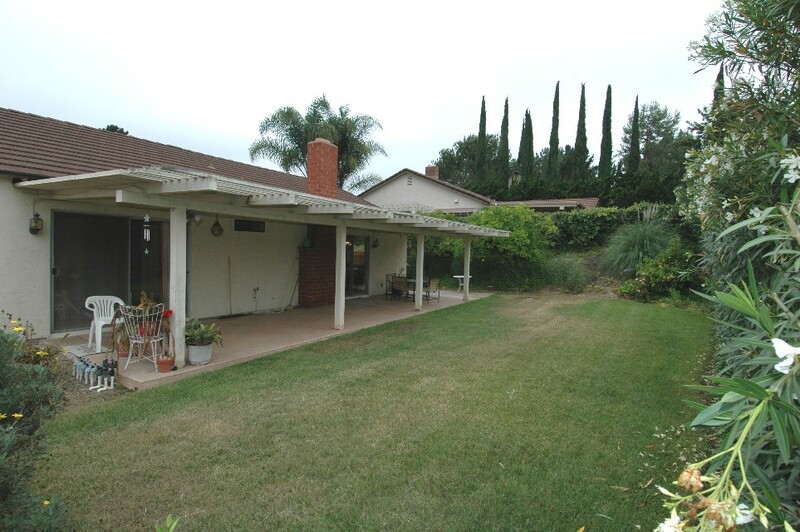 Low maintenance and wonderful condition... this is a home that has been loved. Bright and spotless throughout... but you can really see it in the spacious kitchen. 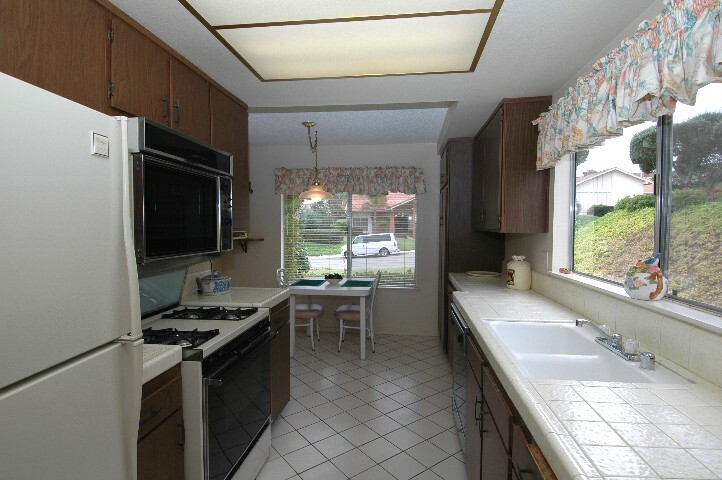 Notice the original cabinets... tile and appliances... they are perfect. This home has been wonderfully cared for over the years. The convenient breakfast nook affords casual dining... and in the great room... a wonderful formal dining room for those special occasions. Miles of counter space... and windows everywhere... it is functional... and beautiful. The great room centers around a masonry fireplace... with high vaulted ceilings.. and beautiful double door entry. Double screen doors... and screen door into the garage... insure cross ventilation year round. 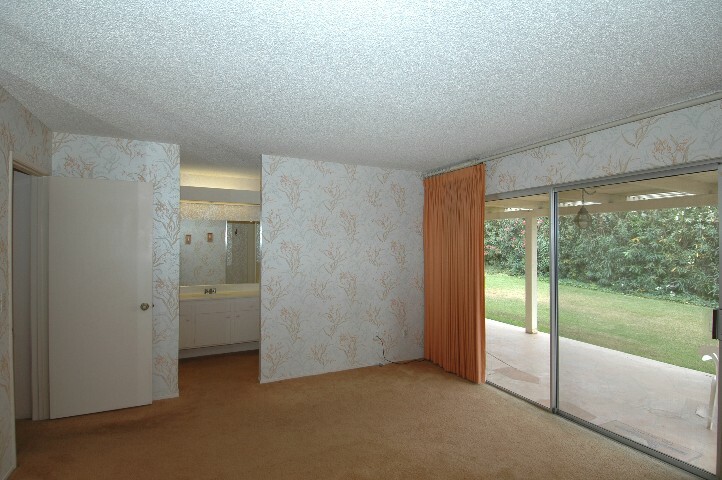 The large master suite is a gem. 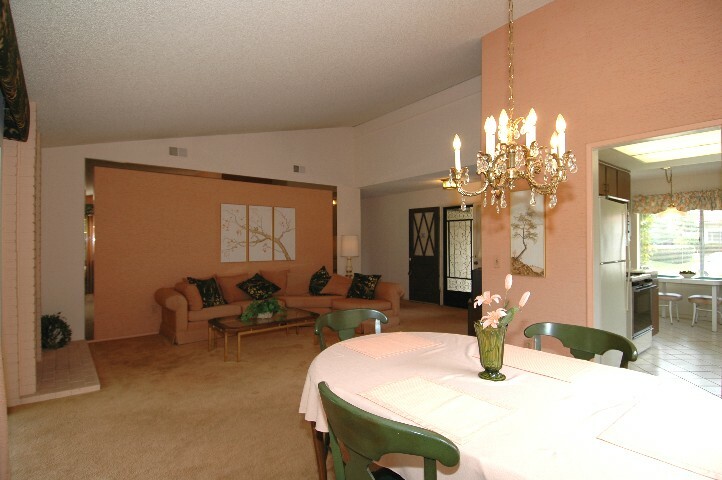 Wide open door access to the covered patio and private yard... with a lovely master suite bath and tons of closet space. 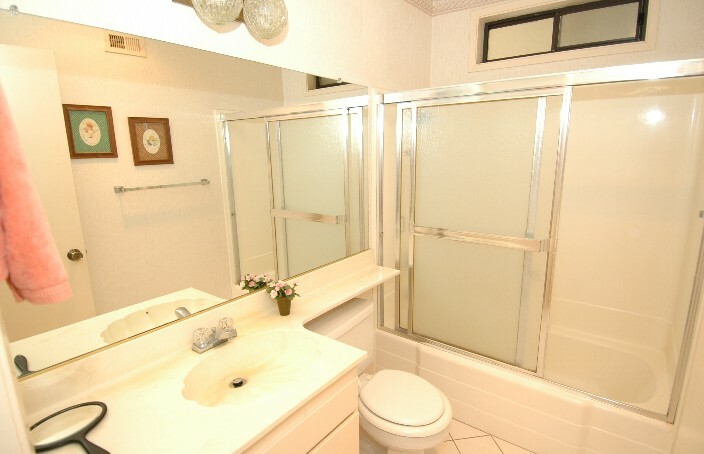 The guest bath above... all original... again shows how much love and care this home has enjoyed. Other than the dating of the decor... it is just like new! Quiet Street... Quiet Neighborhood... Cool covered patio... and safe secure fenced... flat useable yard. It's not totally quiet though... you can enjoy the tinkle of the wind chimes and the swoop of the hummingbirds any time you choose. A wonderful floor plan that maximizes the cross ventilation... yet on the hottest of days... there is Air Conditioning. What more could you ask for? Well how about an award winning Golf Course just around the corner. Escondido Country Club... the pride of the City... and a course where you can still walk a round... without a cart... is literally just around the corner.